A van has struck pedestrians on London Bridge in central London and the occupants have attacked people around nearby Borough Market. Police have declared a "terrorist incident". Six people have been killed during attacks in two closely connected areas of London on Saturday night which police have described as “terrorist incidents’’. Three suspected attackers have also been shot dead by police. The incidents took place on London Bridge and in nearby Borough Market. There were multiple casualties in addition to the fatalities with London Ambulance Service saying they have taken at least 48 people to five hospitals in the capital. Guy’s and St Thomas’ NHS Foundation Hospital said it was “on lockdown” to keep patients, relatives, and staff safe. The first report of an incident was a white van plowing into pedestrians on London Bridge at about 10.08pm. Witnesses said the van swerved onto the pavement. Police say the van continued on to Borough Market where there have been reports of multiple stabbing. 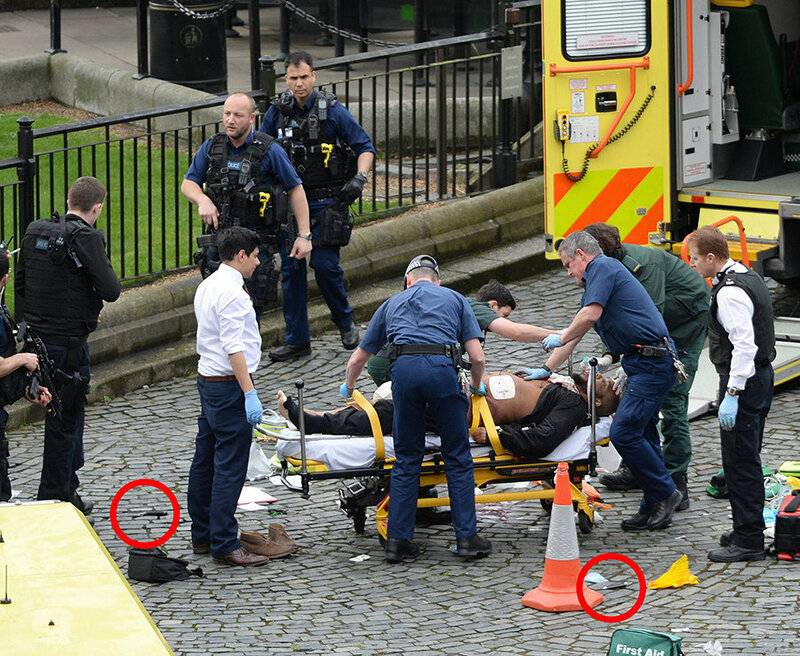 Pictures have been circulating showing a suspect on the ground in the market; he appears to have canisters strapped to his body. Police say those canisters were part of a hoax suicide vest. Theresa May, the prime minister, has called the events a “terrible incident’’ that is being treated as a “potential act of terrorism’’. Police urged people to stay away from the affected areas. The government said there would be a meeting of the emergency committee Cobra on Sunday morning.